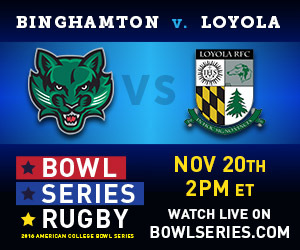 Last match of the weekend @UBowlSeries features traveling Loyola University Maryland against fairly local Binghamton University side from the Empire Conference. 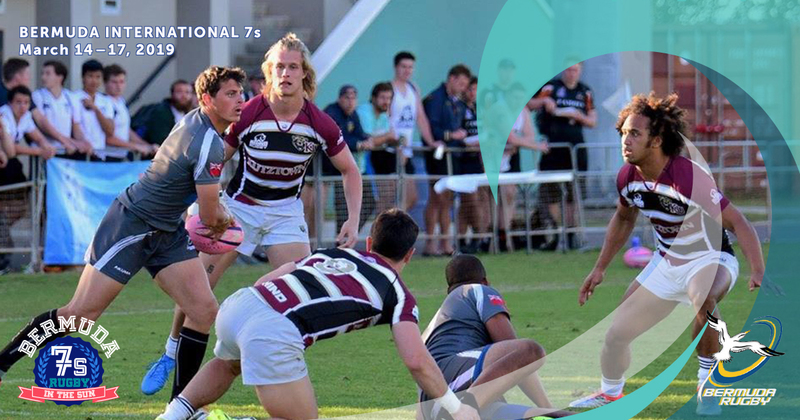 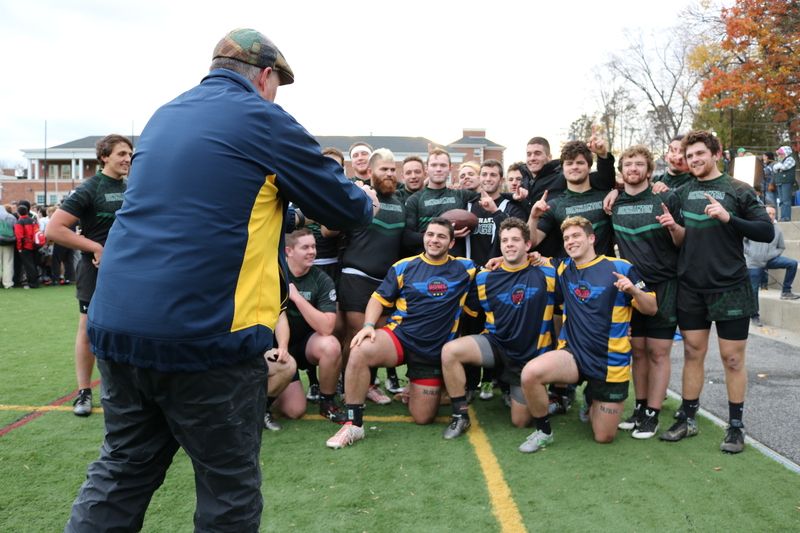 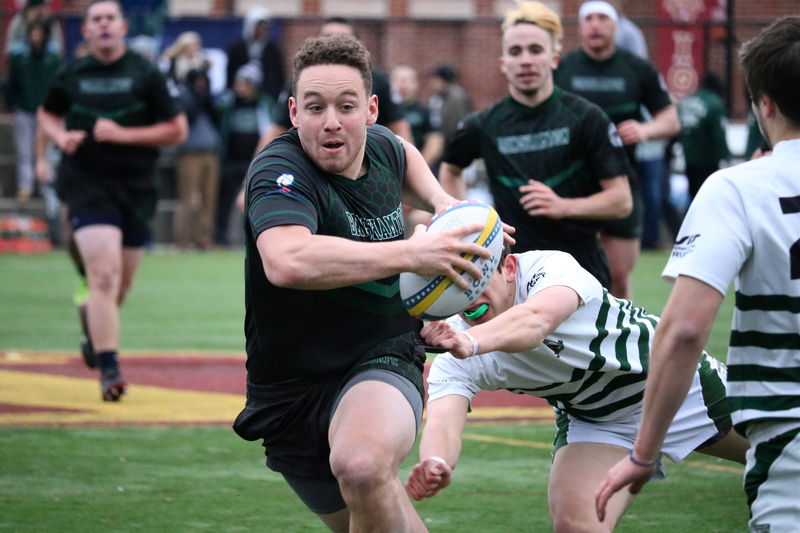 Loyola is a small college that dominated the Potomac Rugby Conference in 2016. 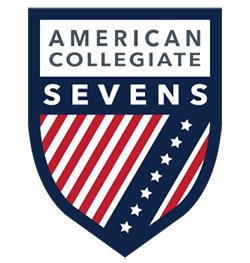 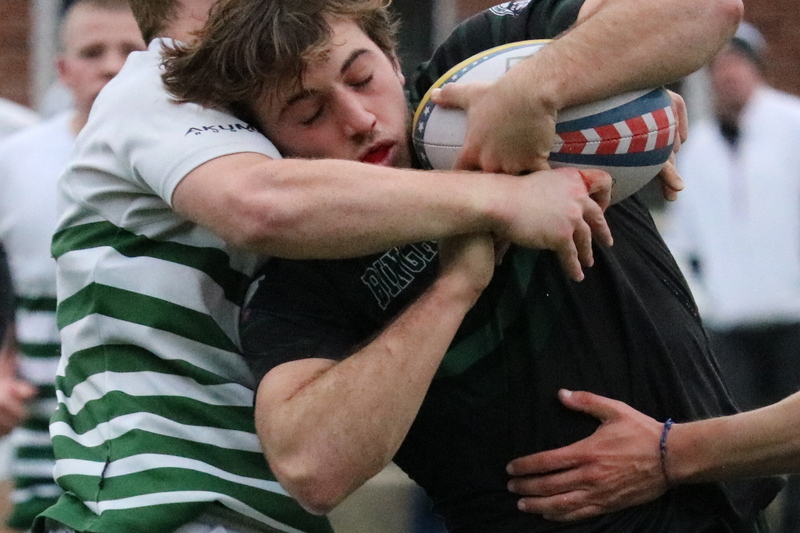 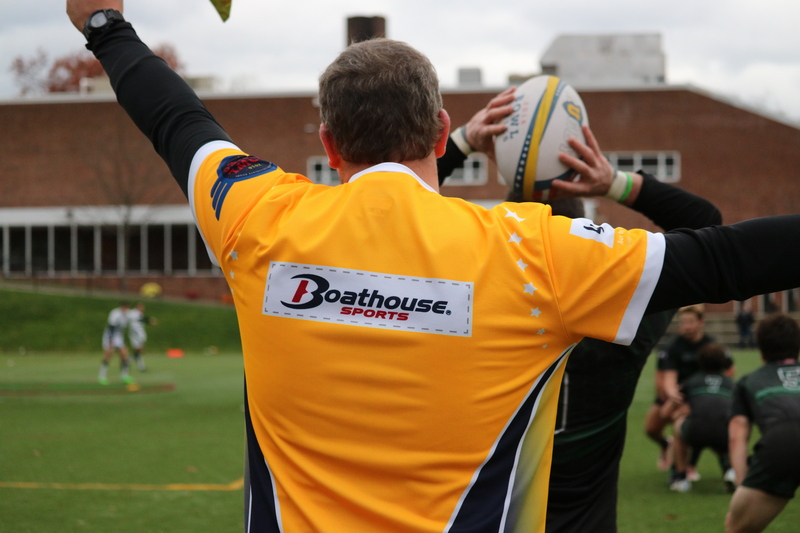 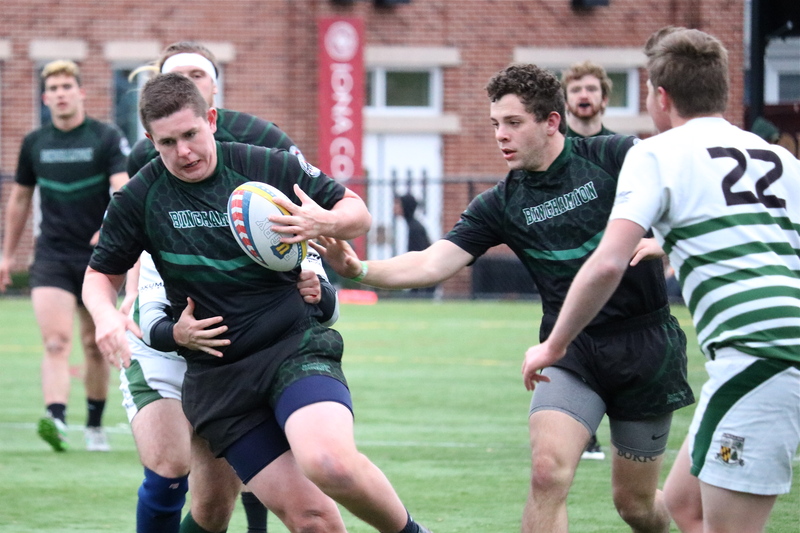 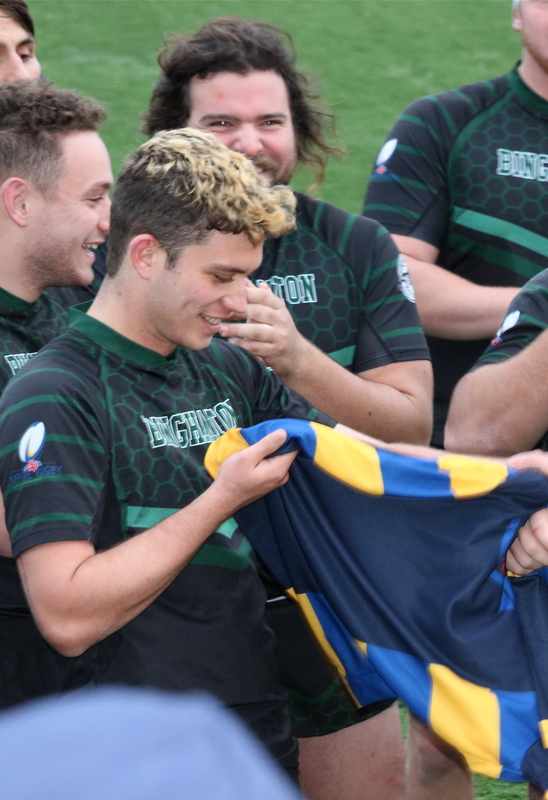 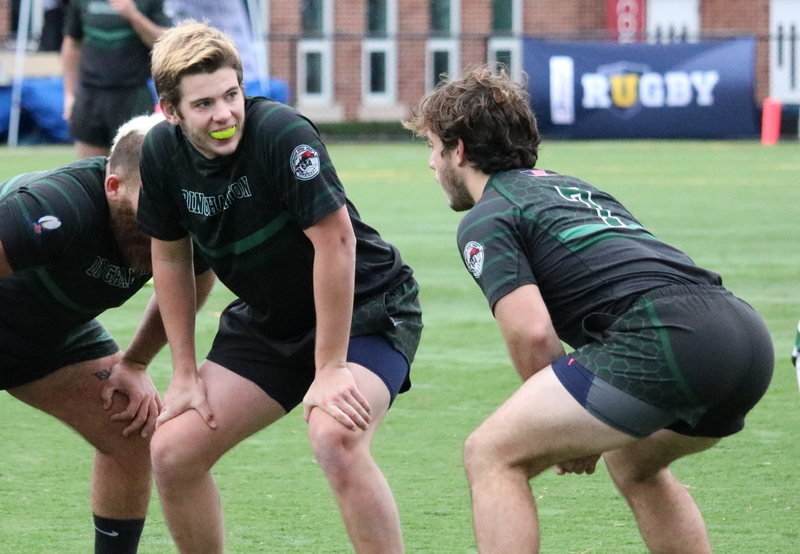 The game started out well for Binghamton, which sent prop Nick Coppola surging through the line for a try, and then added a conversion and a penalty from flyhalf Brandon Healy for a 10-0 lead. 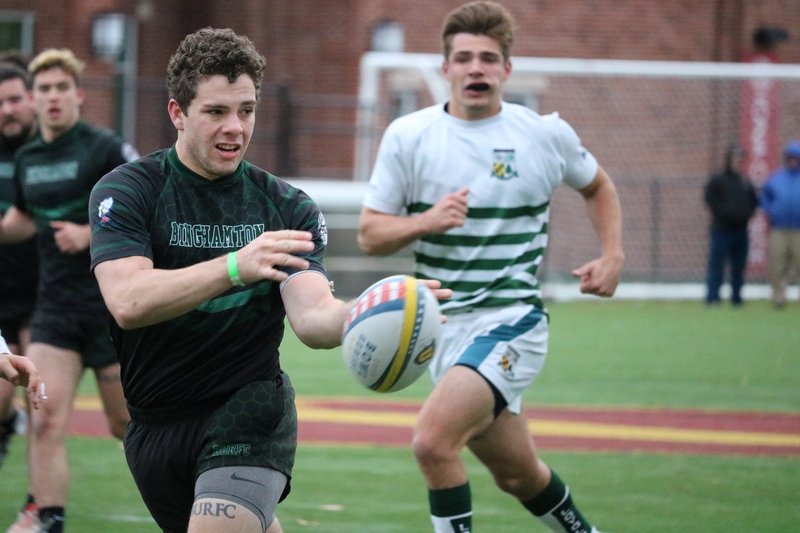 But Loyola, paced by some big runners, including power-running No. 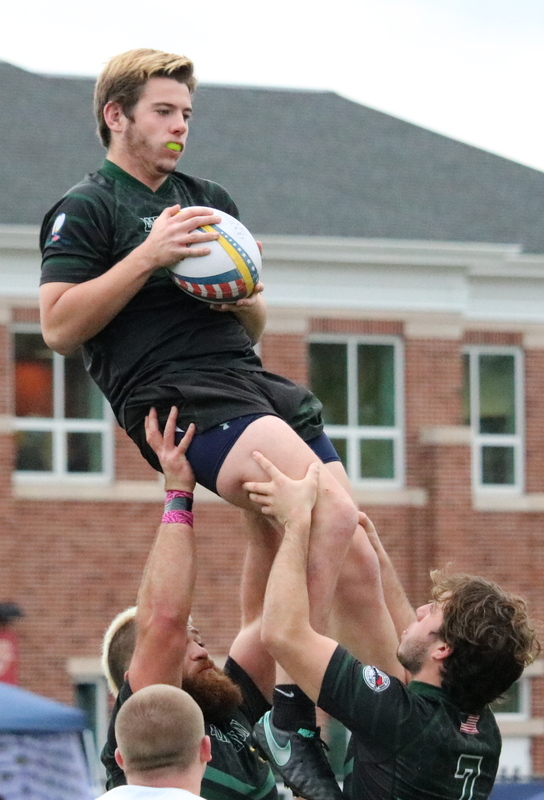 8 James Cahill and shifty center Patrick Frick, stormed back and made a game of it. 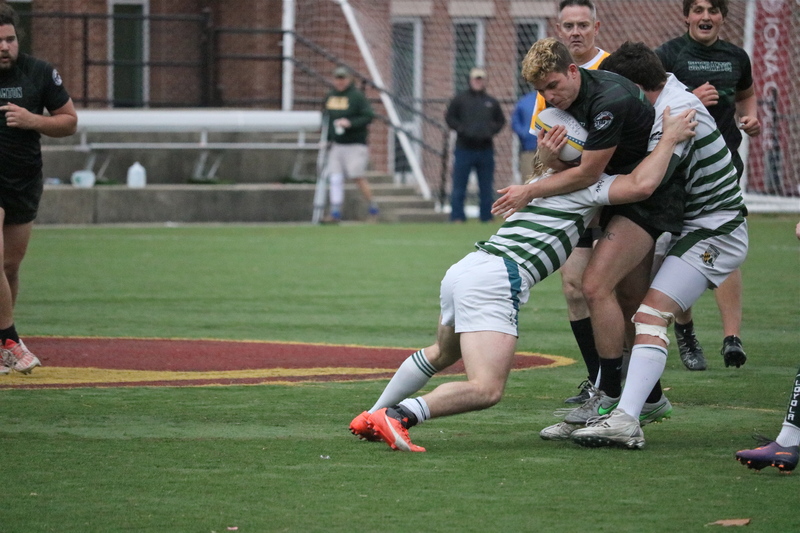 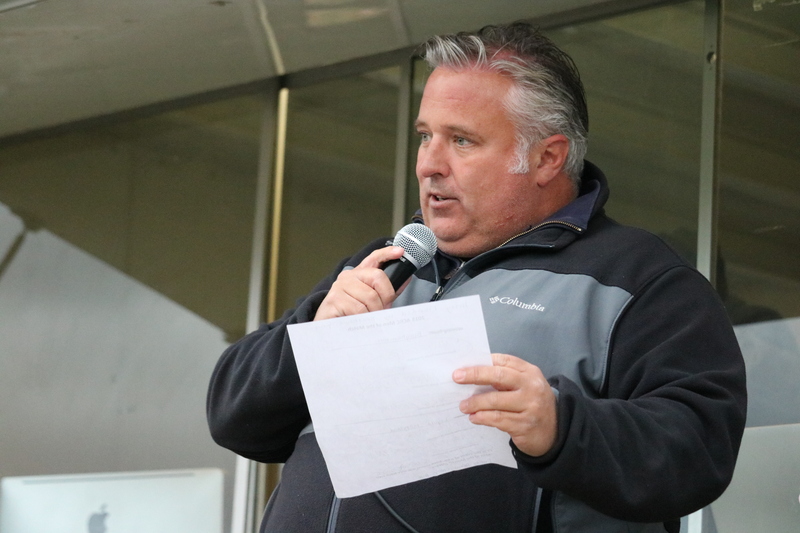 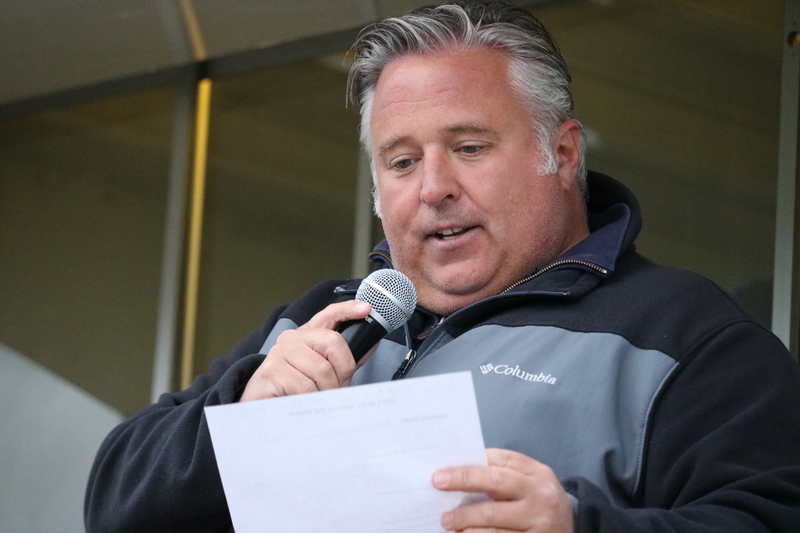 Flyhalf Danny Giannascoli showed some good vision, Loyola’s first try came courtesy of a muffed Binghamton lineout and a snappy cleanup at the back. 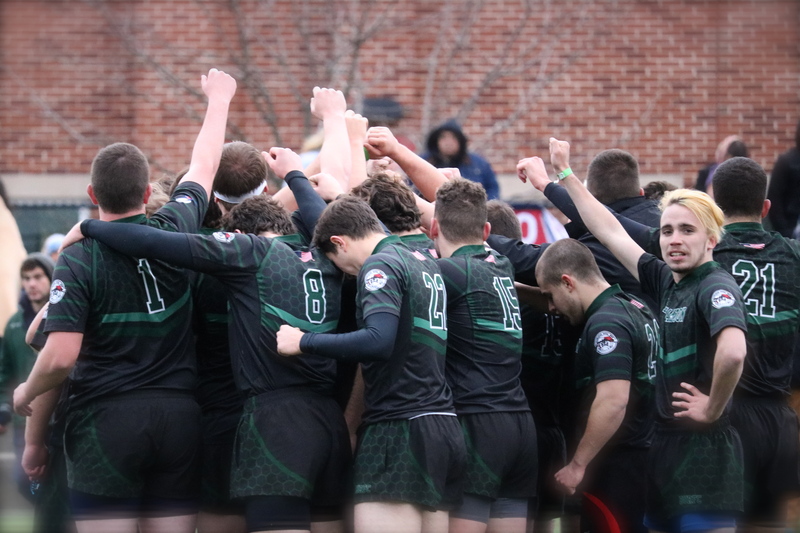 Loyola dominated field position for a good portion of the rest of the first half, helped along by a few errant kicks. 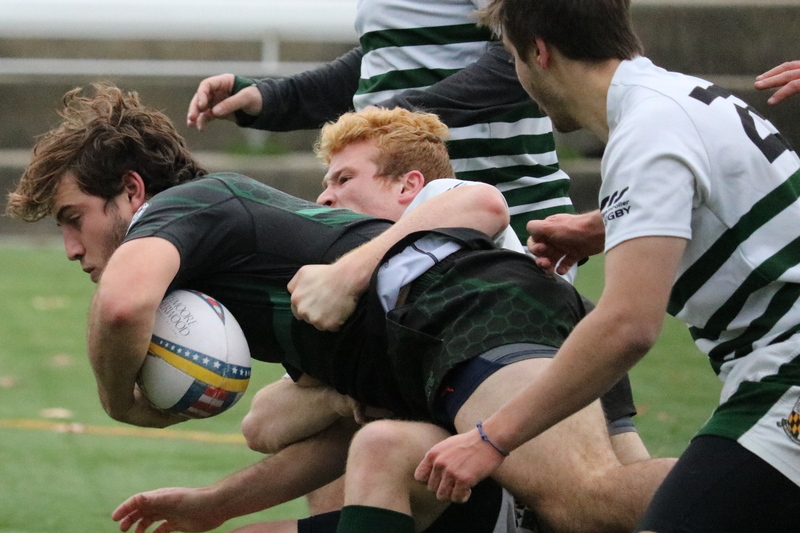 And it worked. 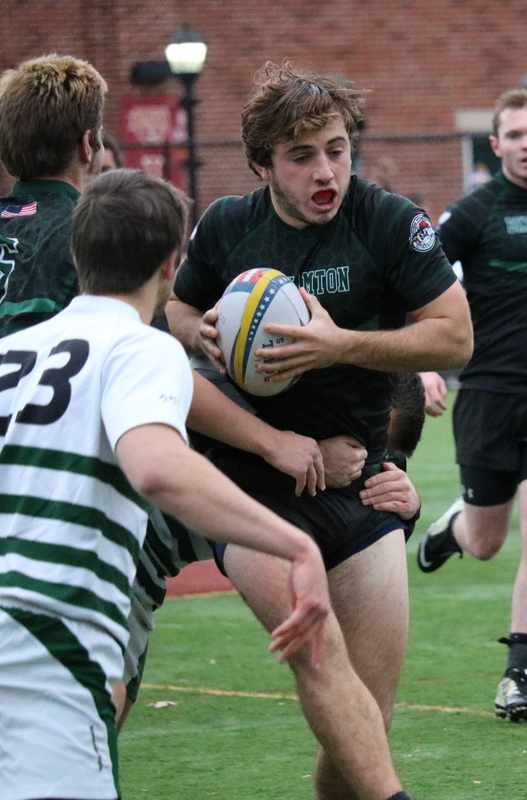 Using the forwards to bust up the middle, Binghamton also got good running from center Greg Lenane, and then Healy popped a pass to center Matt Richards who raced in under the posts. 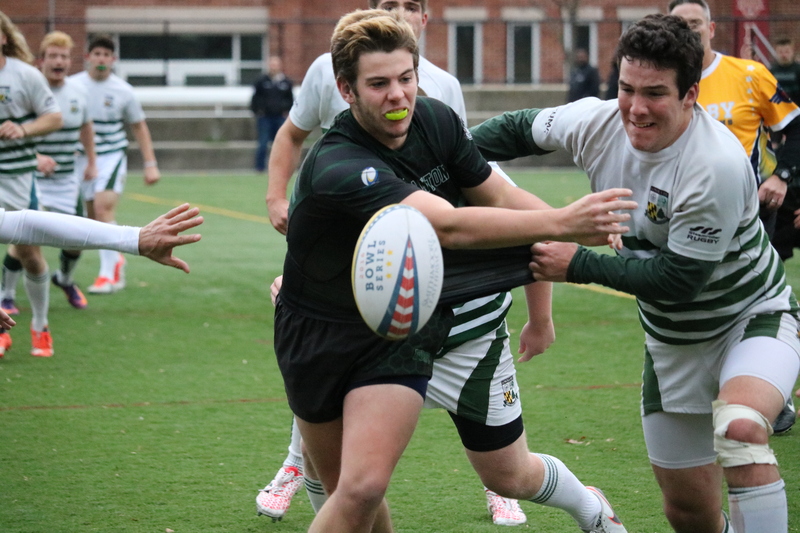 Loyola replied with some pressure and an eightman pick from Cahill. 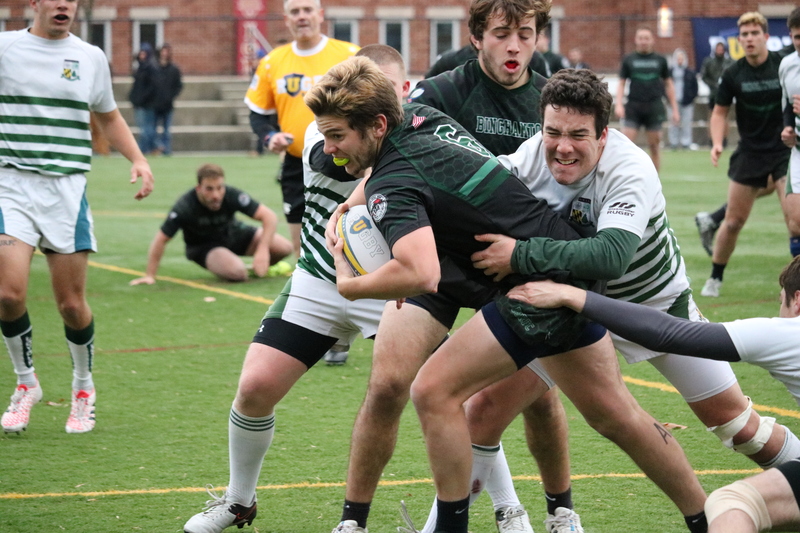 But they failed to press their advantage when an intercepted pass put them right back on the Binghamton line, they couldn’t get that go-ahead score. 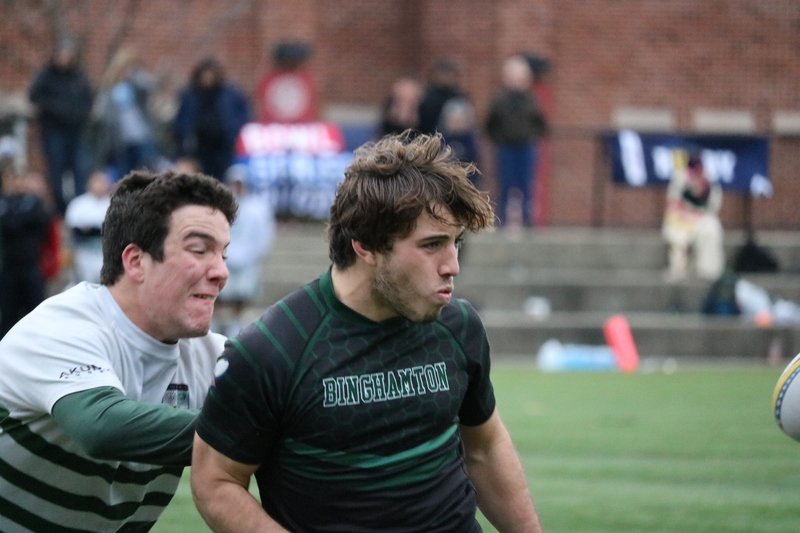 With the wind in the second half, Binghamton started to roll. 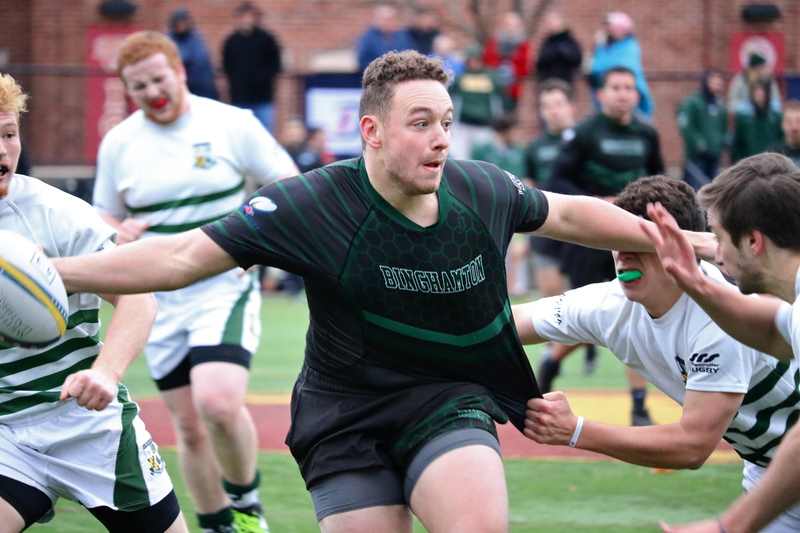 Coppolla, a thick-legged prop with excellent passing and running skills. 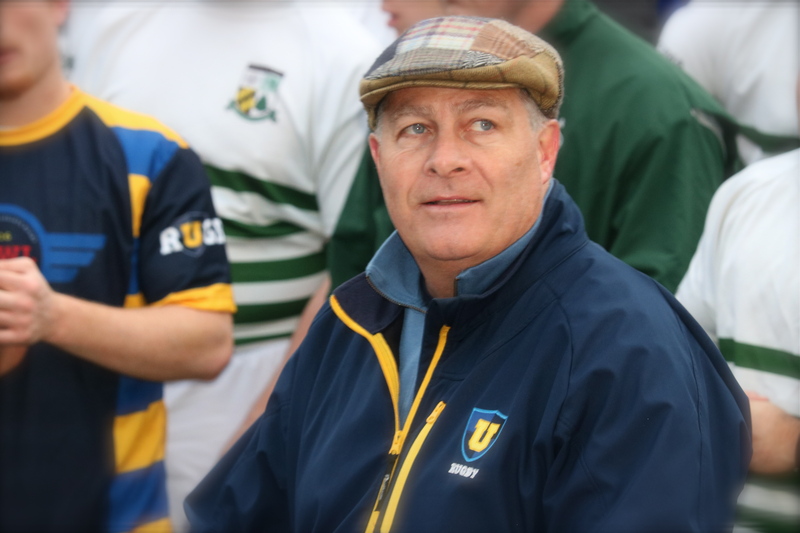 was hugely influential, while Healy started to have the time to read the game and set up his teammates. 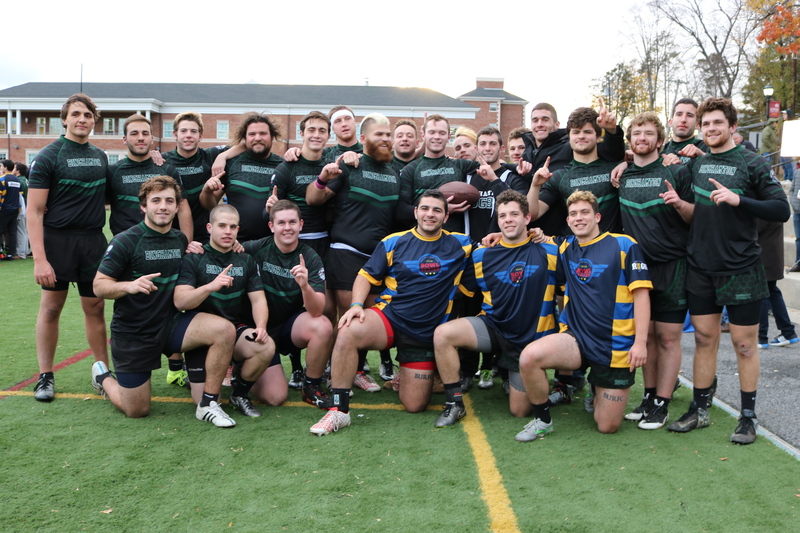 Lenane scored multiple tries, and Binghamton won 52-27. 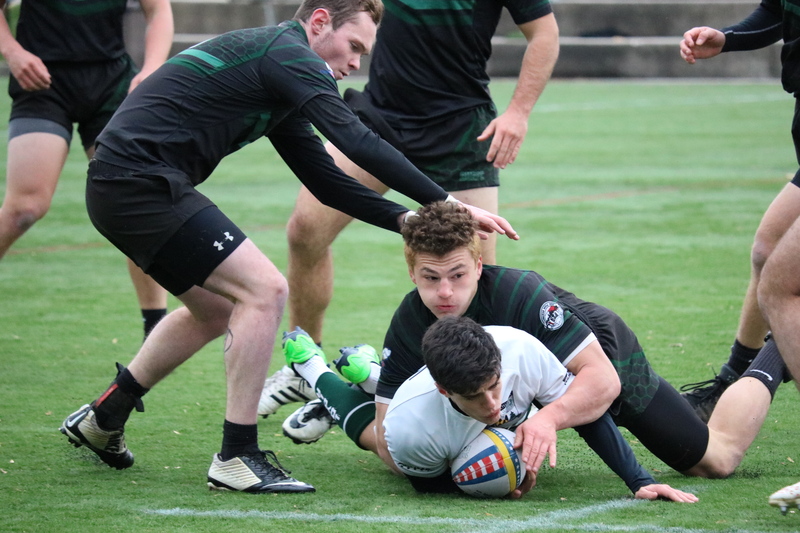 Loyola squeezes in another try during the last minute of the game. 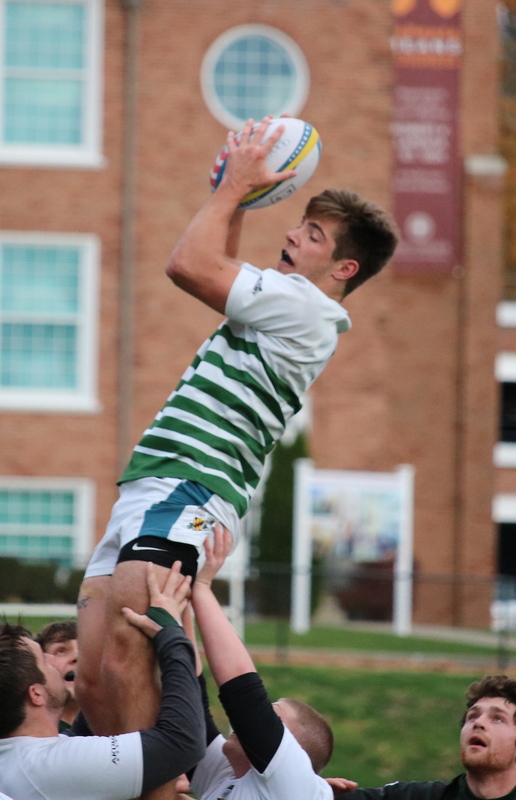 Loyola scores a try in the last minutes of the game. 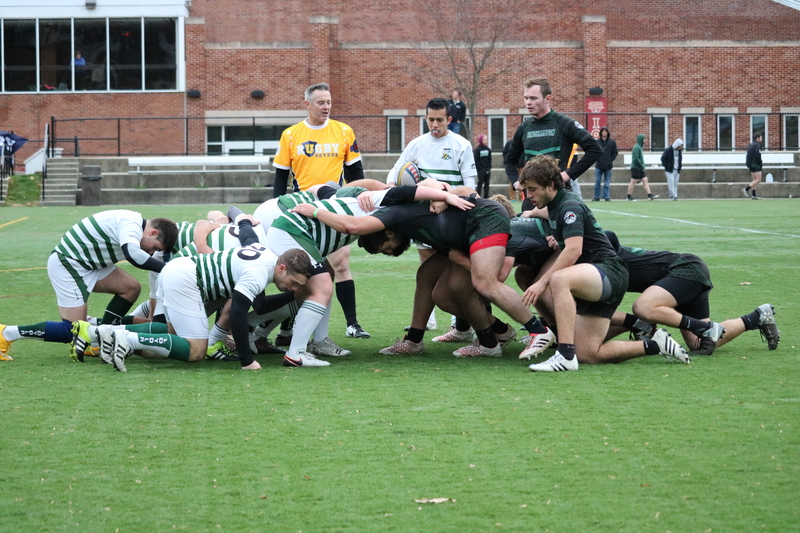 Conversion is good for Binghamton. 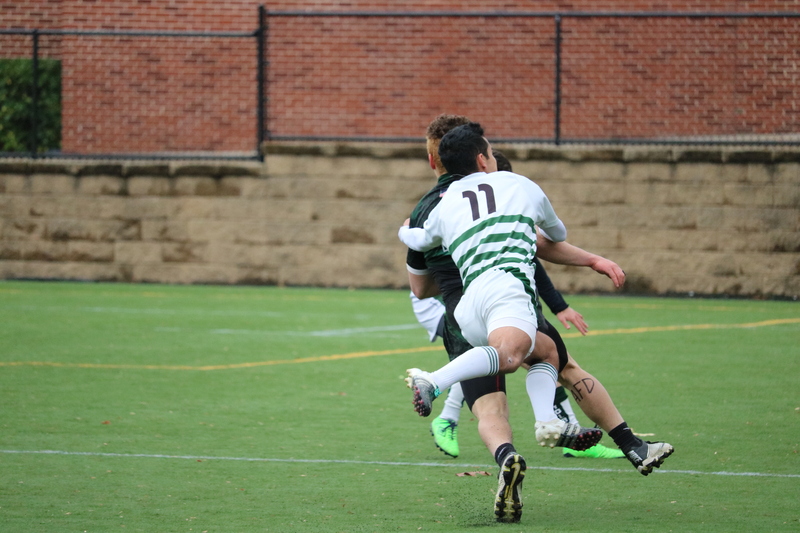 Loyola scores a penalty kick. 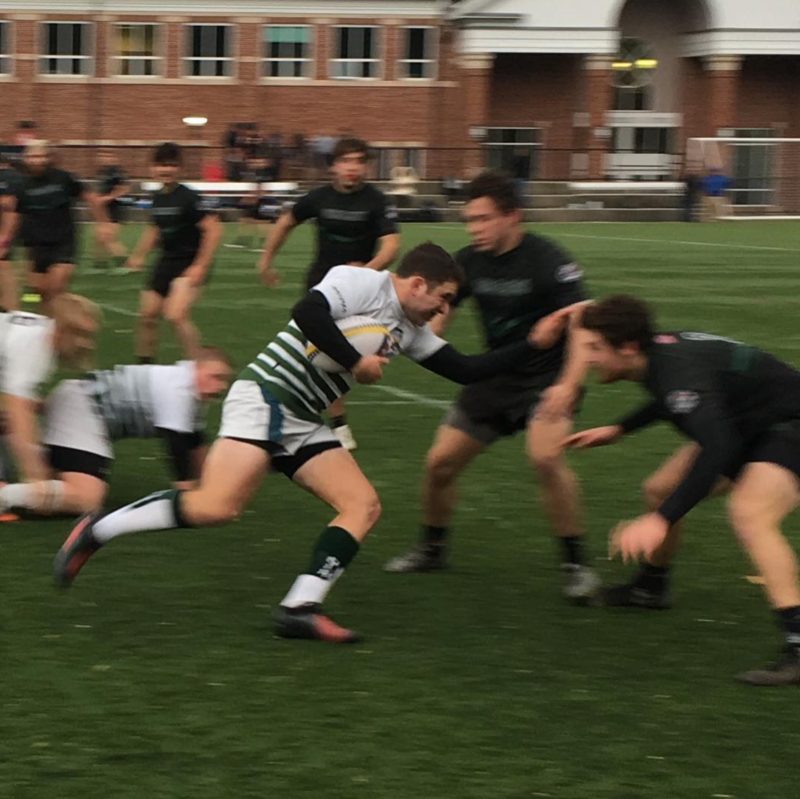 Loyola comes back with a try. 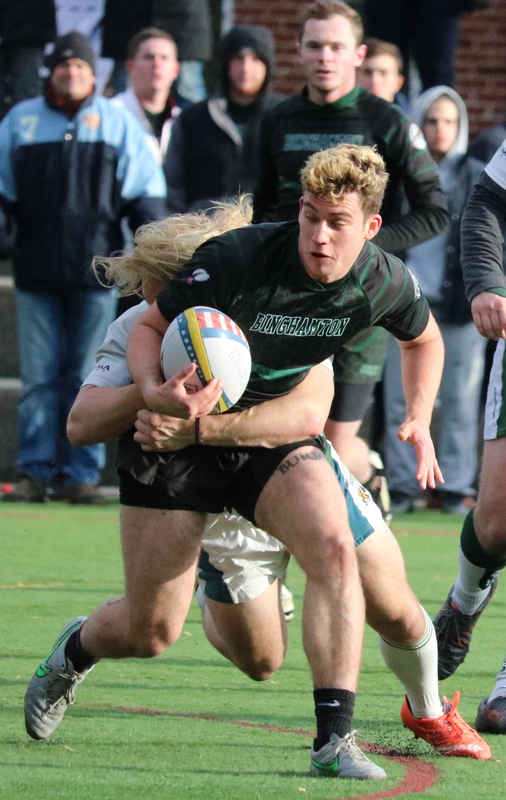 Binghamton secures a solid lead with a successful conversion. 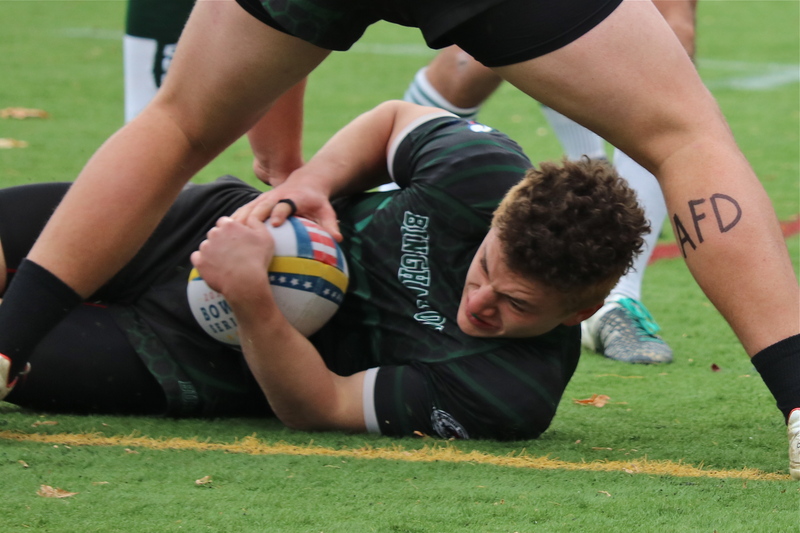 Good conversion puts Binghamton in a 10 point lead. 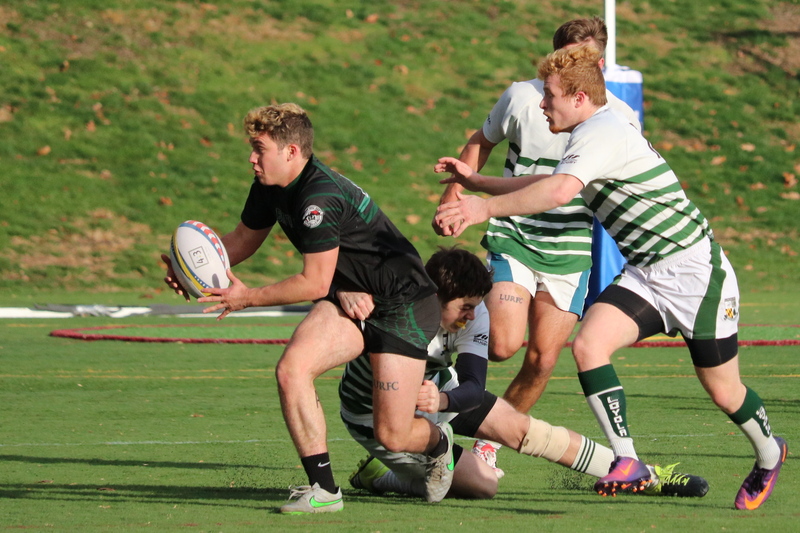 Binghamton starts 2nd half strong with a try in the first minute. 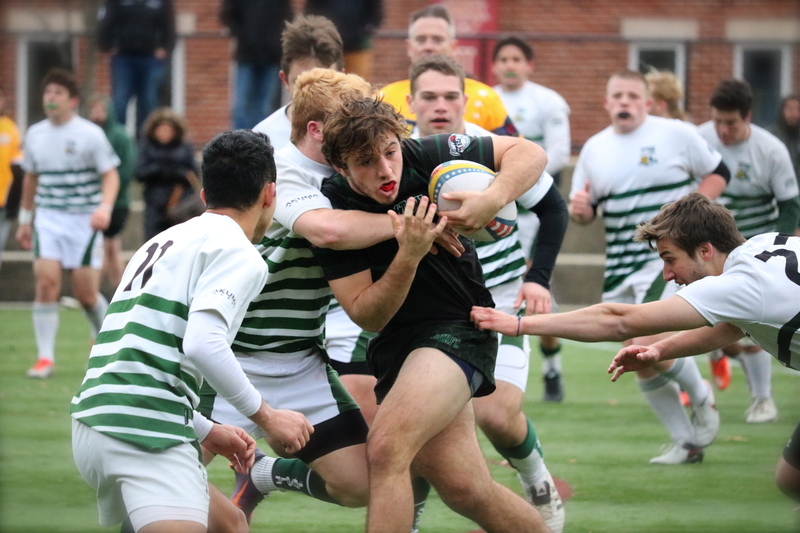 Loyola closes the gap with a successful conversion. 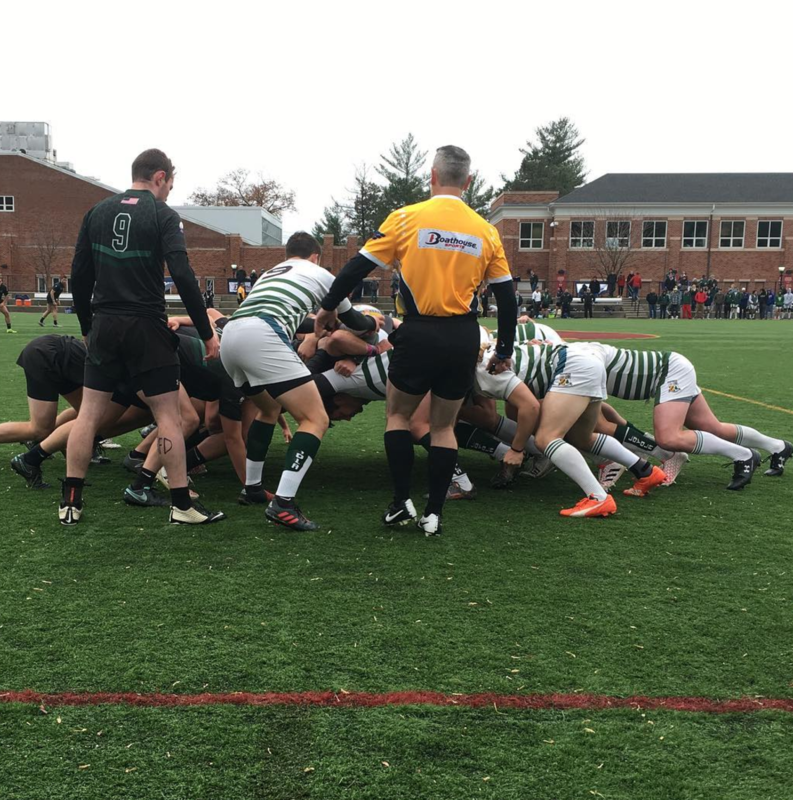 Loyola Maryland scores another try. 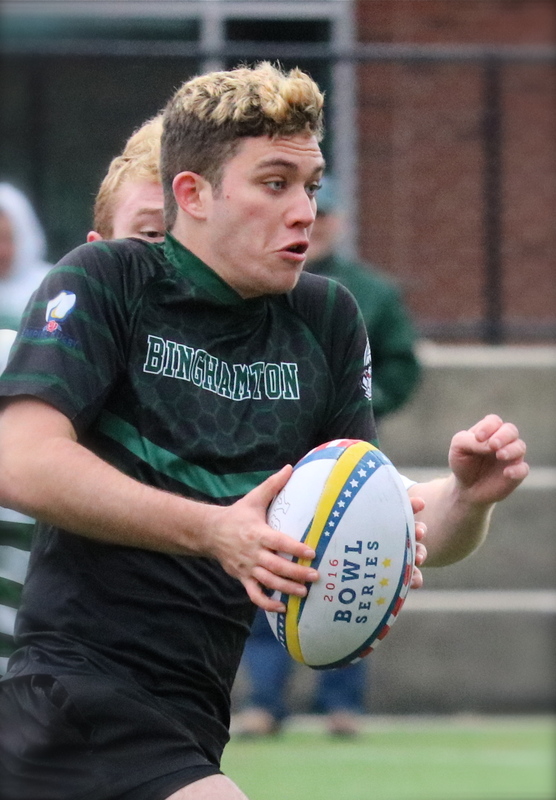 Matt R. scores for Binghamton. 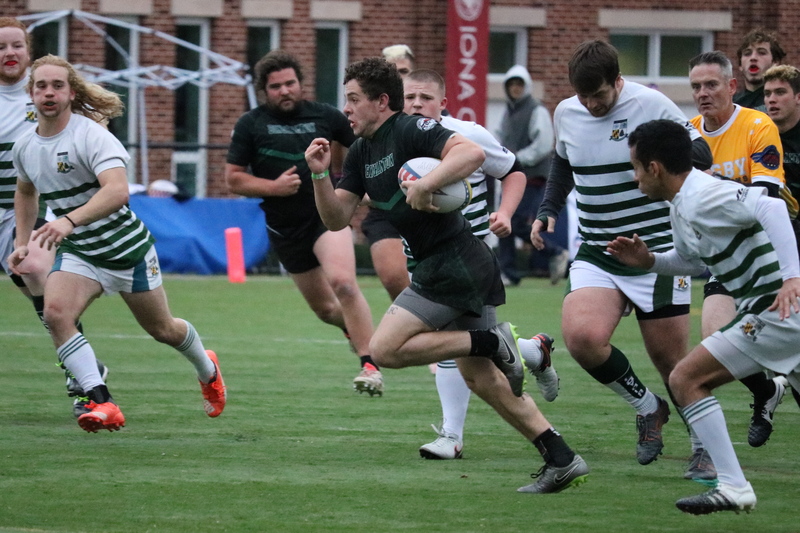 Loyola Maryland comes in with their first try. 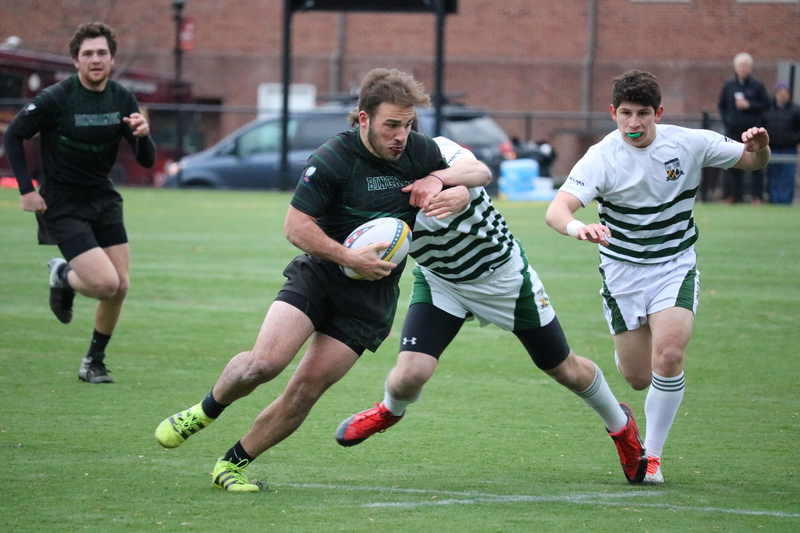 Conversion good for Binghamton by flyhalf Brandon Healy stretching the lead to 10-0. 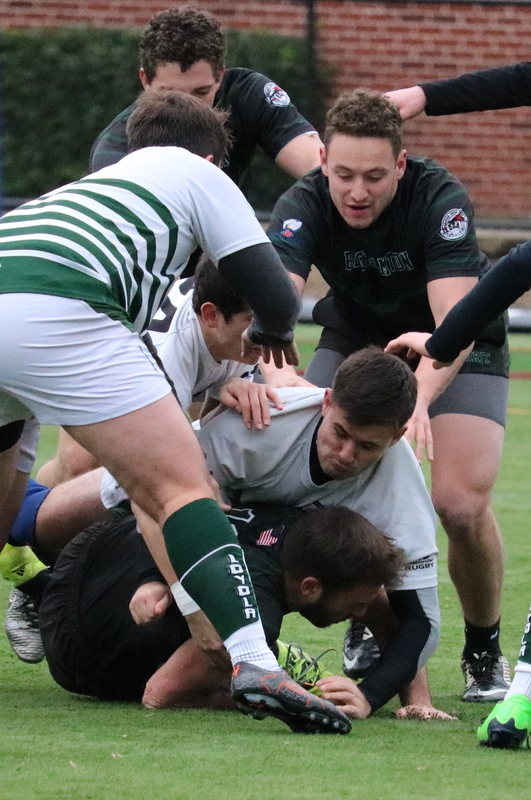 Binghamton scores first try of the game sending prop Nick Coppola surging through the line for a try. 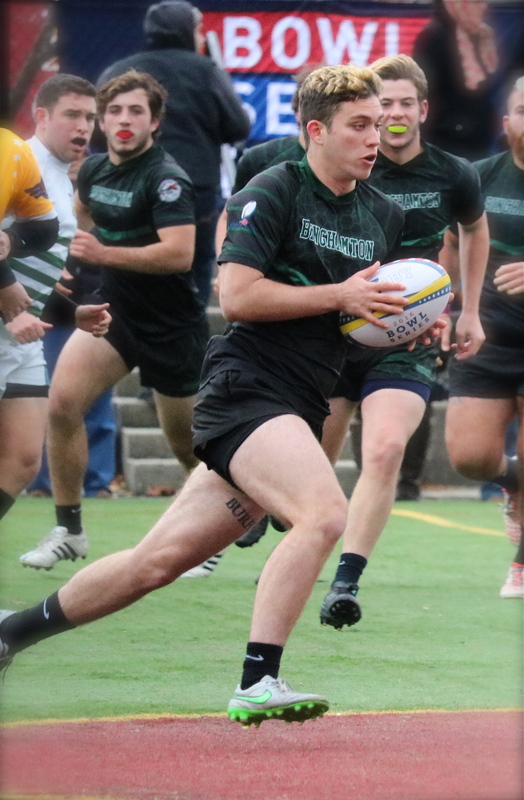 Binghamton scores first on a penalty kick by flyhalf Brandon Healy. 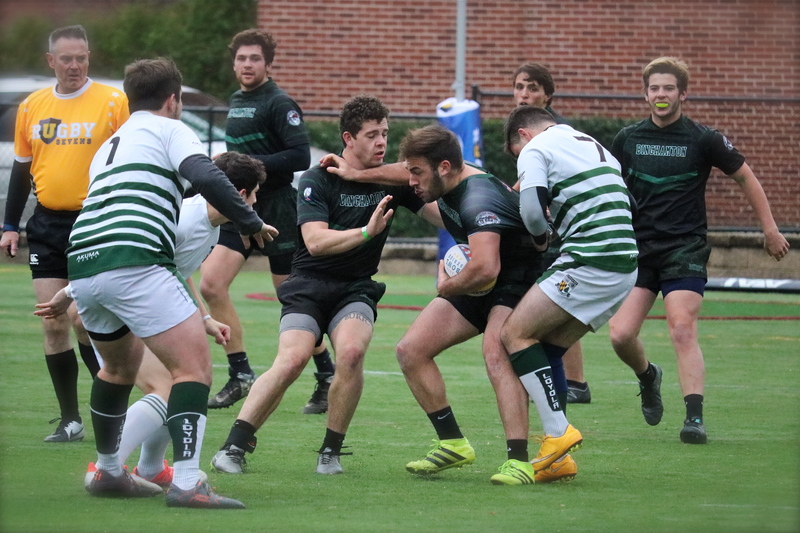 In the last match of the weekend we see traveling Loyola University Maryland battle against (fairly) local Binghamton University. 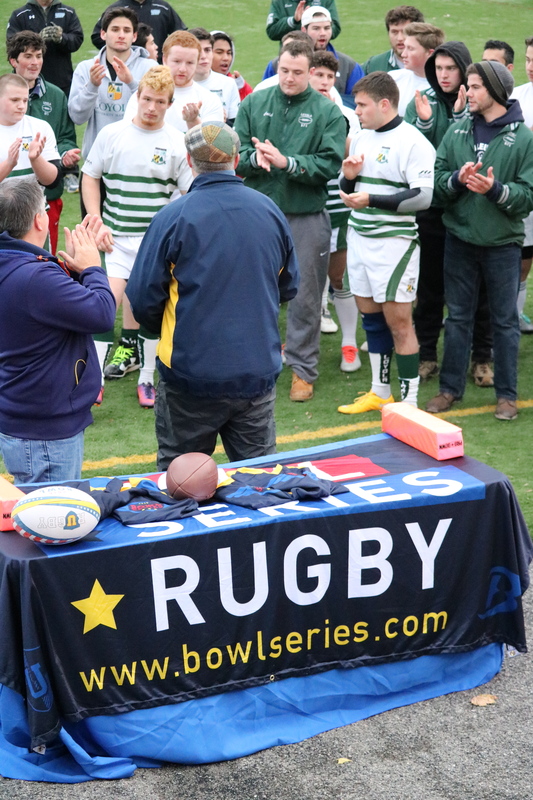 We'll remember this match as two conference champions close out the 2016 Bowl Series.